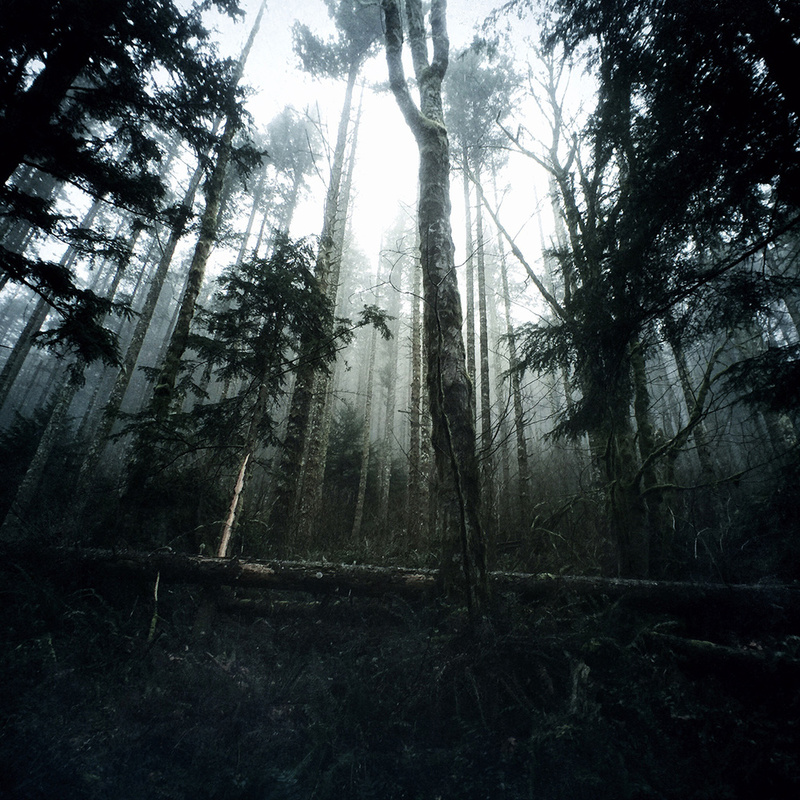 Since launching their two mobile photography lenses last year, the Moment team in Seattle has been working hard to improve other aspects of the mobile photography experience. They have revealed their newest creation, the Moment Case, which works in conjunction with their mobile app and current two lenses. 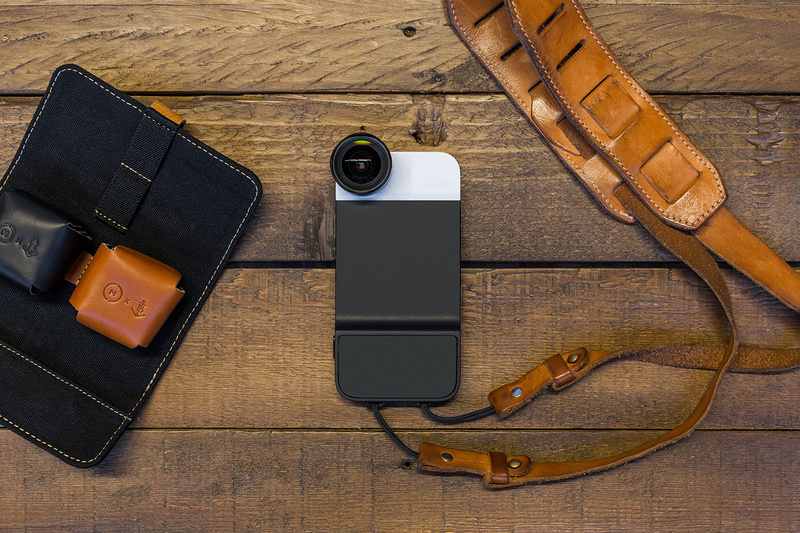 With the Moment team’s success with using Kickstarter on their last project, they have decided to turn back to the site to fund the Moment Case as well. The best part is, it’s available for order as of today, and lucky for me I had the pleasure of being the sole individual outside of the Moment team, to test the prototype case prior to today’s launch. However, it’s currently only available for the iPhone 6, which is making me wish I didn’t pick up the 6+ a few months back. Is this the pinnacle of mobile photography? It just might be. 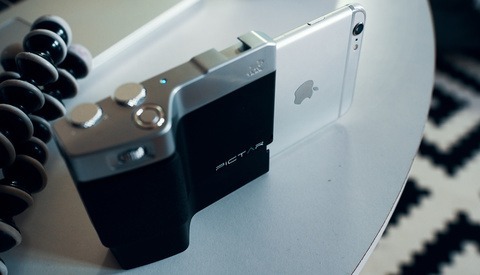 This case seemingly solves just about all of the inconveniences that come along with mobile photography. Its ability for quick access and case features not only make the device more useful, but also keep it safer. Furthermore, it applies the conventional photographic process by way of a physical shutter button and couples that with amazing lenses; thus, creating the potential to change the landscape of mobile photography. The case is comprised mostly from custom TPU (Thermoplastic Polyurethane), which is a somewhat flexible rubberized plastic. 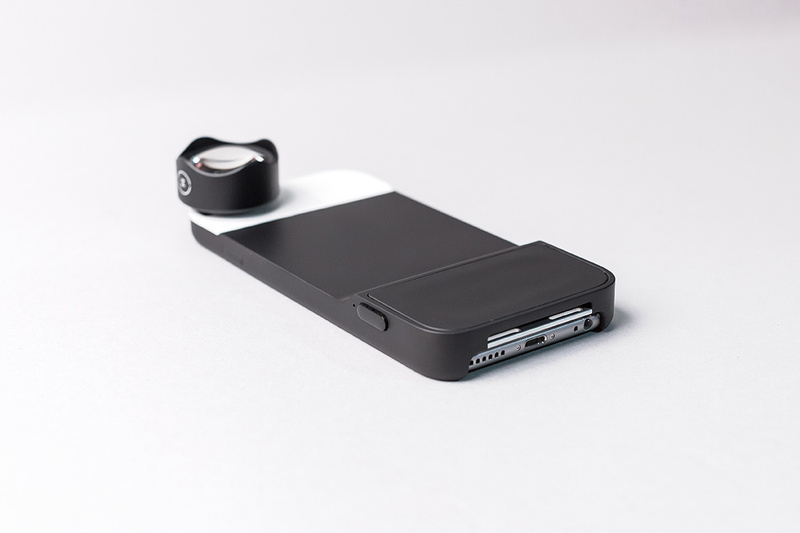 This enables great protection without everting your pocket every time you remove the phone. The button interface on the case is very similar to how the Apple leather case feels, though slightly tougher. I’m also told that it will be easier to press the lock and volume buttons in the final version of the case. The steel bayonet lens mount is now built into the case removing the need for a mount glued directly to your device. 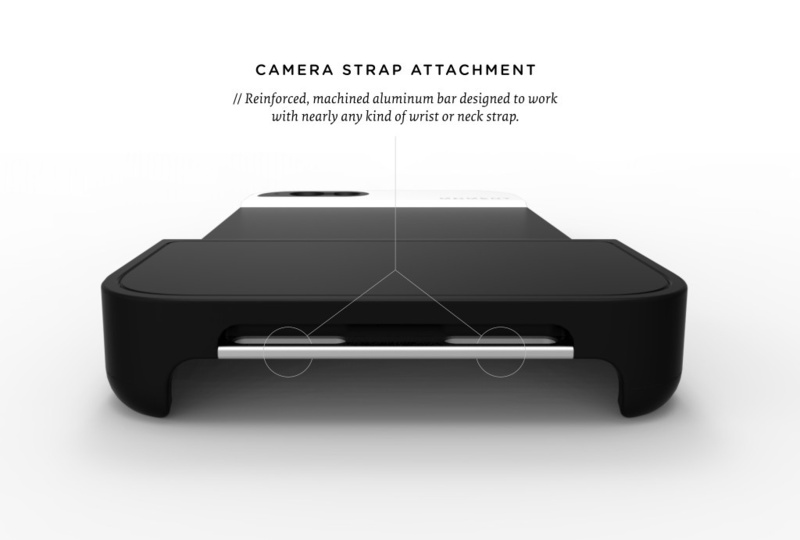 The case also features a machined aluminum camera strap attachment. If you’ve ever hiked with your phone, you know getting to the device every time you want to take a shot along the way, proves to be a hassle. Removing the phone and attaching the lens every time is inconvenient and increases the probability of dropping the phone or the lens. 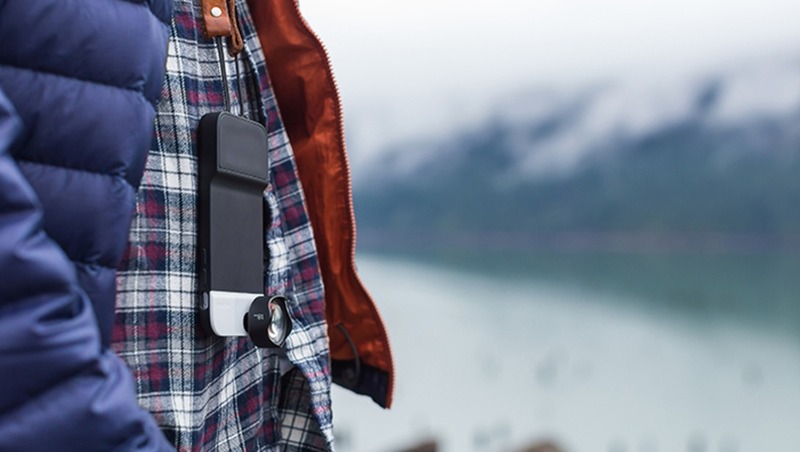 However, with a neck strap attached, the device stays secure, and thus eliminates the need to remove the lens to fit in your pocket, ergo, less fumbling. Moreover, if you press the physical shutter button while the device is locked, a lock screen notification from the Moment app arises. By swiping this notification, you are automatically directed to the Moment app, ready to shoot. I tend to use the native camera app using the swipe up method on the iPhone, instead of using an app like VSCOcam to capture, because I want to be able to take a photo as quickly as possible. Now, this feature from Moment, tied to a very usable capture app, would sway me to use their app as default instead. Plus, the app saves all the photos directly to the camera roll for easy import into your favorite editing app. The case’s star feature is a dual-stage dedicated shutter button, which functions the same as a DSLR shutter button: half press for focus, full press to trigger the shutter. The grip of the case is where the shutter action and electronics are housed. While one might speculate the extra bulk of the grip becoming a burden, I found the exact opposite. The grip provides a small, yet effective, bulge to hold onto when in use. It also made removing the device from my pocket easier than my standard case. The case is roughly double the thickness of a bare iPhone at the bottom where the grip is the most ample. Lastly, the case connects to your device using low energy Bluetooth and the team expects roughly a few months of battery life with everyday use. Version 2 of the app is totally redesigned, so if you have the current one, there has been a major overhaul. The app features the familiar split focus and exposure functions that you may have grown accustomed to from other apps. A half press on the shutter button will focus and set exposure for the scene, while sliding your left thumb side to side you can adjust exposure, and sliding up and down sets the focus. The app also boasts a full resolution TIFF capture, one step closer to RAW capabilities on iPhone. Quality, the TPU protects your device whilst providing grip and a quality feel. Ease of use, The case coupled with the Moment App work together to simplify the process of capturing images. Everyday Case, It's bulky in all the right places and would function as an everyday case. Improved Lens Mount, The mounting bracket is built recessed into the case which creates a stronger area where the lens attaches. This also eliminates the phone rocking from the mount being raised. The lens is also flush with the case when installed making it more secure. iPhone 6 Only, I feel like there are a ton of serious shooters that invested in the 6+ that can't utilize the case. Bluetooth, the Bluetooth was somewhat temperamental when pairing with the phone. Image Orientation, some of my images came into the camera roll upside down. It's important to note that I was testing a preproduction working prototype case. The case is something I could imagine I’d leave on my phone every day, and just attach the neck/wrist strap for hikes. I've already inserted the lenses into my daily workflow, which you can read about in the review. From the day and a half that I spent with the case, I can honestly say this is the first time I regret buying the iPhone 6+. 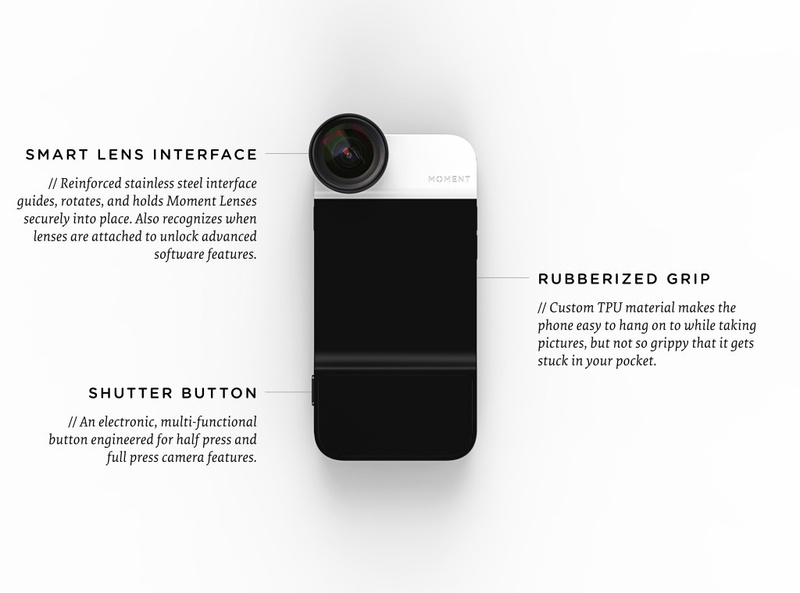 You can preorder the case on Moment's Kickstarter page right now. The entry level donation to get yourself a case is $50, where as $199 will get you a full kit. UPDATE: The project has reached their 100k goal in just under 24 hours! 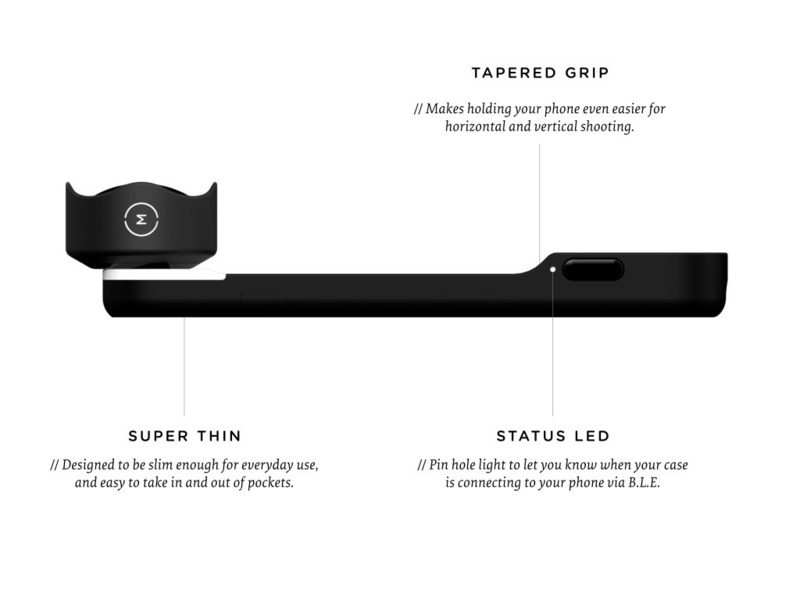 UPDATE 2: The iPhone 6+ case is now availble for backing on the Kickstarter page, ships in August! Kyle Ford descends upon the PNW from rural Nevada. Kyle joined Fstoppers in late 2014. He is a wedding and lifestyle photographer who throws his extra dough at film supplies. You can find him across a multitude of social media platforms and his website. maybe I'm weird, but I actually think these are cool! Naw man, I think it's pretty legit. I love the neckstrap feature! Keep up the good work guys. When I go on the site it says doesn't ship until June but your article makes it sound like now? Sorry for the confusion mate, yes it's June ship target. I had a working prototype. The project was just fully funded this morning. I personally don't get it. I want a phone to fit in my pocket not hang from a leather strap around my neck. As for a camera, I think the iPhone 6 is pretty good, but I'd prefer a small pocket camera with manual controls if that's the quality that I was satisfied with. However, as with most cutting edge tech items, I'm sure there is a market for it. I don't imagine most people will rock the strap daily. 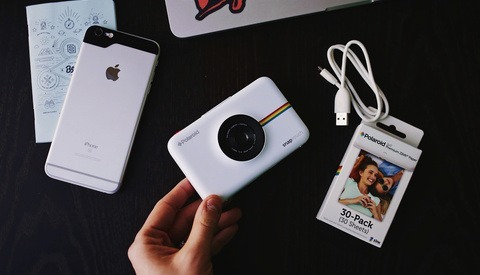 I'd want it for going on hikes and exploring, where I don't have to keep attaching and disconnecting my lens to take photos. Plus hiking with a phone in your pocket is a pain. The project was funded in less than 24 hours, so you'd probably be safe to assume there is a market for it! I guess I'm looking at it from the perspective of a photographer. 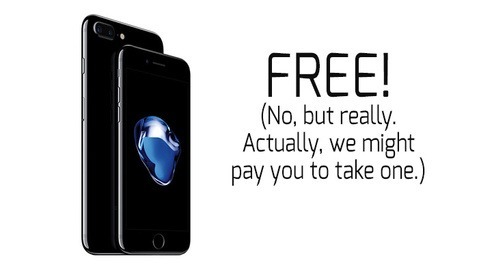 I'm sure that an iPhone is the only camera for many people, so this might make sense for them. I am disappointed, I attempted to order a iPhone 6 Case and was told that they are not even shipping this product, I am on a wait list with no date in sight. There must be some confusion. This was available for the Kickstarter campaign. They are indeed shipping this product as well as the 6+ case. I believe the lenses worked similarly. Moment will fill the orders for kickstarter before making them available at retail value through their website. Hi Kyle, thank you for your reply. I went on Moment @moment Twitter and they tweeted that the iPhone 6 case will be available in the next few weeks to "Stay tuned" :( I just have to be patient. Hi Kyle, did you get the leather strap and the wallet for the lens holsters from them as well?